Acting headshots have long been considered different to business portraits & headshots. But there is a lot more in common between them that you may think. In fact, I think a lot of small business owners in Sydney could take a note from how actors use their portraits. Actors need to have updated headshots every year or even half year. These headshots are the ‘brand’ of the actor, and are key to getting new work. The difference between a good and a poor headshot can be whether you get called to an audition or not. And as you know, no audition means no work! Does this sound a lot like business to you? Now you may not need to update every half year, but especially in the service and creative industry, a good profile photograph can result in a profile view (audition), which leads to client contact and possible work. No matter how spectacular all that text in your profile is, if your profile looks like you can’t be relied upon, you will be skipped. It only takes a split second for a user to decide whether you are the type of person to which they want to entrust their time and money. Actors are also very careful in selecting what photographs they send out to casting agents. They know that sending either a poor quality shot, or something in the wrong style, will affect their chances of success. Business people generally are very careful in choosing a business name, a logo, a color scheme, all to deliver a specific message to their audience. Then they strangely forget to tie it all together with with a professional headshot, instead using a poorly done selfie against a wall. Or maybe the business owners had professional shots done, but as they added new (client facing) staff they’ve tried to cut corners. I’ve seen way to many LinkedIn profiles or websites with poor expressions or inconsistent quality. This is just throwing good leads down the drain. Do you forge long term relationships with clients? 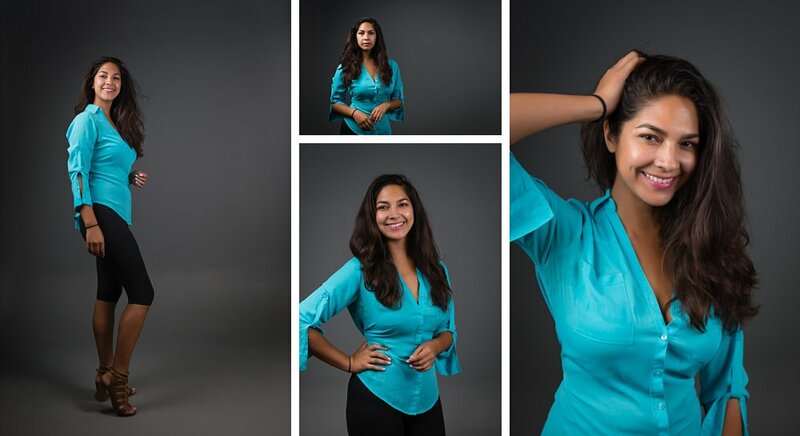 Acting headshots show a variety of personalities and emotions. We can use the same approach in business headshots in industries where you, the business owner, are the reason people hire you, and you forge long term relationships. People like counsellors, coaches, accountants, celebrants, consultants, personal trainers, to name a few, are hired for both their professional skill and for their personality match with a client. 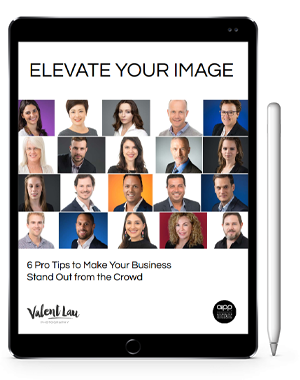 In addition to the professional LinkedIn headshot, it pays then to have additional shots showing your personable side to use in different parts of your website. Most professionals could also use specific shots to show how you work, or for promotions and inspirational posts. It sure looks more trustworthy than using stock photography that looks out of place. When you contact us to create your profile photograph, we research your profession and discuss with you all the different ways you can use imagery to your advantage. We get everything you need all done at once, so that it’s ready on hand when the time comes for that big marketing push. How much would that speed advantage be worth to you? Valent Lau Photography provides Personal Branding Photography in our Sydney studio or at your business location. Contact us now and let us help you make your best first impression.